By enlisting the services of a qualified Houston glass repair and installation company, you can increase the value of your home while ensuring optimal comfort for your family throughout the year. Double-pane windows can reduce your monthly heating and cooling bills by providing a leak-free barrier between your home’s interior and the outside world. This can help to prevent drafts that can affect your family’s comfort and can reduce the intrusion of moisture, insects and other annoyances that can reduce the livability of your home. Taking steps to increase the energy efficiency of your home can also allow you to reduce your impact on the environment and live green-friendly while maintaining comfortable temperatures inside. Working with a professional Houston glass company to install double-pane replacement windows can increase the overall insulating power of your home. Combined with other insulation options, these advanced window solutions can deliver added comfort and increased protection against the elements. Greater insulation values translate into improved comfort for every room of your house, allowing you to beat the heat this summer. Sounds from outside your home can have a major impact on your ability to enjoy your available entertainment options. Double-pane windows can provide added protection against noise from lawn mowers, traffic and kids at play and can allow you to enjoy music, movies, television and conversation without interference from these distractions. This barrier between you and the outside world can even help you achieve a more restful night’s sleep by blocking out sounds that could awaken or disturb members of your family during the evening hours. Double-pane replacement windows often are constructed with anti-ultraviolet protections built right in to prevent these harmful rays from entering your home and damaging furnishings, carpets and other elements of your home décor. By investing in these advanced windows, you can ensure that your interior design investments are protected against premature fading and aging due to exposure to the sun. For homes with numerous windows, investing in modern UV-blocking windows can even reduce the risks of sun damage for the members of your family inside your Houston residence. The right windows can enhance the curb appeal of your home to create a positive impression on potential buyers. Along with a fresh coat of paint or some careful landscaping, your windows and doors are key elements in your home’s exterior décor. By making a relatively small investment in replacement windows, you can potentially increase your home’s value in the Houston real estate marketplace to a significant degree. Especially for homes with aging or deteriorating windows, double-pane replacements can improve indoor comfort while ensuring the highest possible price for your home. The Houston auto glass experts at Apple Glass can provide you with the best options for residential window replacements as well. Our professional technicians specialize in installing double-pane windows to enhance your home’s energy efficiency and increase its curb appeal. 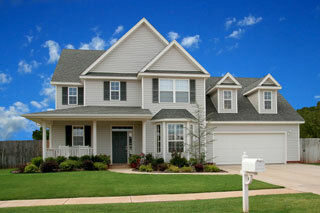 This can provide increased comfort for your family and can boost your home’s value at the time of resale. We are also the leading experts in Houston windshield replacement and offer a full lineup of glass repair services for your home and vehicle. Give us a call or stop by one of our locations to discuss your window replacement project with one of our experienced technicians. We look forward to the chance to serve your glass repair and replacement needs. This entry was posted in Energy Efficient Windows and tagged Houston Auto Glass, Houston Glass Repair, Houston Windshield Replacement. Bookmark the permalink.